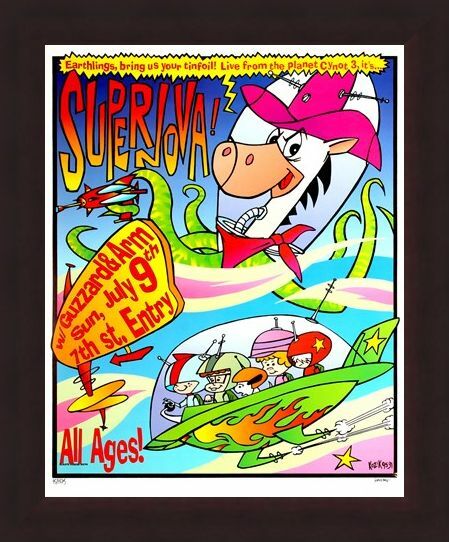 Limited Edition Art Print: Take a trip into outer space with this colourful and energetic rare art print by Frank Kozik. 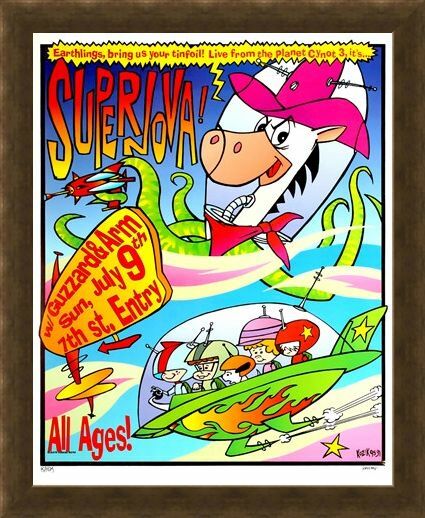 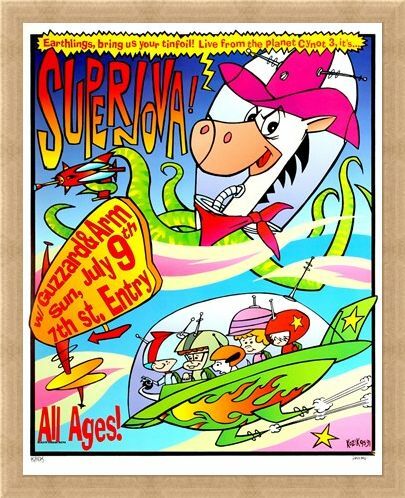 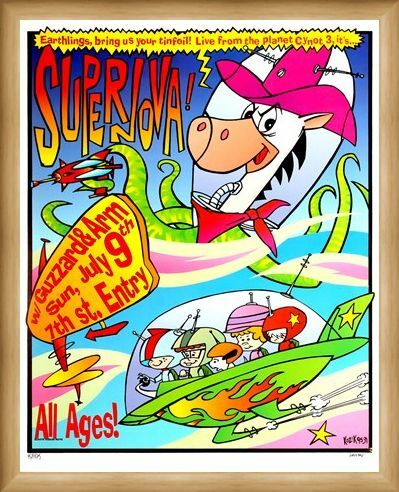 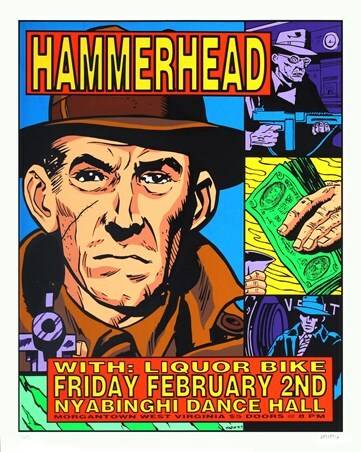 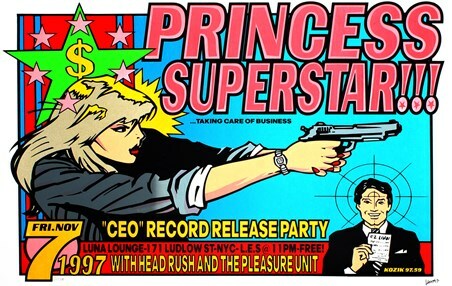 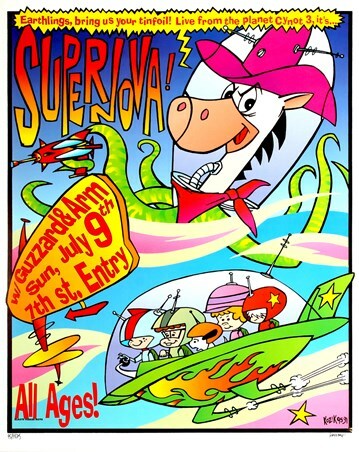 Featuring the Californian pop punk band Supernova, this excellent print shows the advertising poster from the bands gig where they were supported by rock band Guzzard and indie band Arms. This eye catching print features a space creature, half horse, half octopus, as he flies around planet Cynot-3, accompanied by a family in a spaceship. 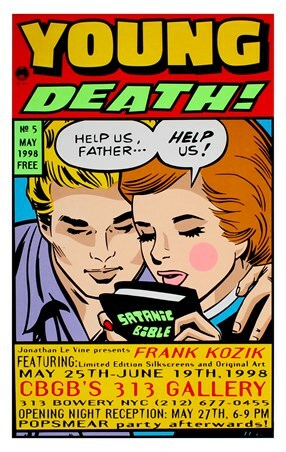 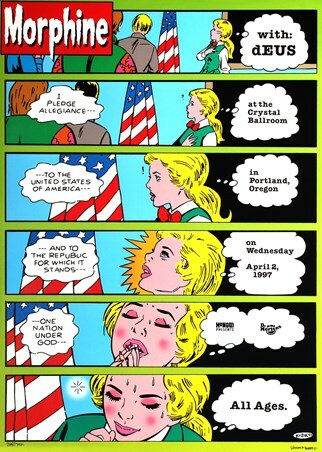 This surreal print is a limited edition piece by Kozik which has been hand signed and numbered by the man himself. 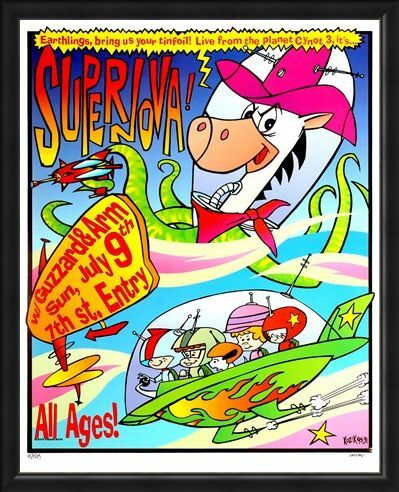 A must have for music lovers and fans of out of this world art work! 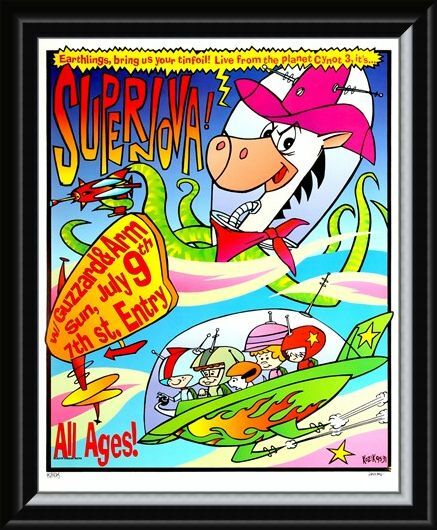 High quality, framed Live from the Planet Cynot 3 - Supernova!, Frank Kozik limited edition print with a bespoke frame by our custom framing service.